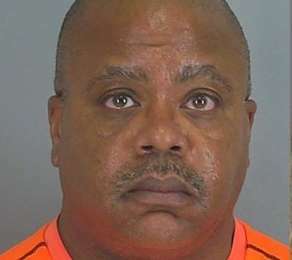 SPARTANBURG, S.C. — An abortionist arrested in South Carolina last week for running a mobile abortion business is believed to be notorious Florida abortionist James Pendergraft, according to reports. As previously reported, the arrest occurred during a week-long drug bust that included 578 traffic stops. Police didn’t expect to find an abortionist on wheels in the process. The abortionist’s identity had not been made public, but now, the pro-life organization Operation Rescue reports that the man arrested was Florida abortionist James Pendergraft, who has a long history of run-ins with the law. “Pendergraft, 58, was charged with four drug-related offenses, but remains under criminal investigation for practicing medicine without a license,” Operation Rescue’s Cheryl Sullenger wrote in a post on Friday. His accomplice, who was mistakenly reported by Sheriff Wright as Pendergraft’s wife, was Angela Jackson, 55, of Cary, North Carolina. She was arrested and charged with intent to sell marijuana out of Pendergraft’s vehicle. Pendergraft owns five abortion facilities in Florida, but his license is currently under suspension in the state. He has been suspended four times, with the most recent suspension being for allowing a staff member to administer drugs without a license and for proscribing steroids without cause to another employee that was known to have a drug addiction.